I also have a X390W, but the clock light does not come on, is this an easy fix? Is there a way to reference where the radio was sold through the serial number? Mostly I have vintage Grundig table sets and some Saba, but some old Zenith’s too. Sorry, I have no idea how to fix the light; and don’t know about how to find where it was sold. I am a, very much amateur, collector. 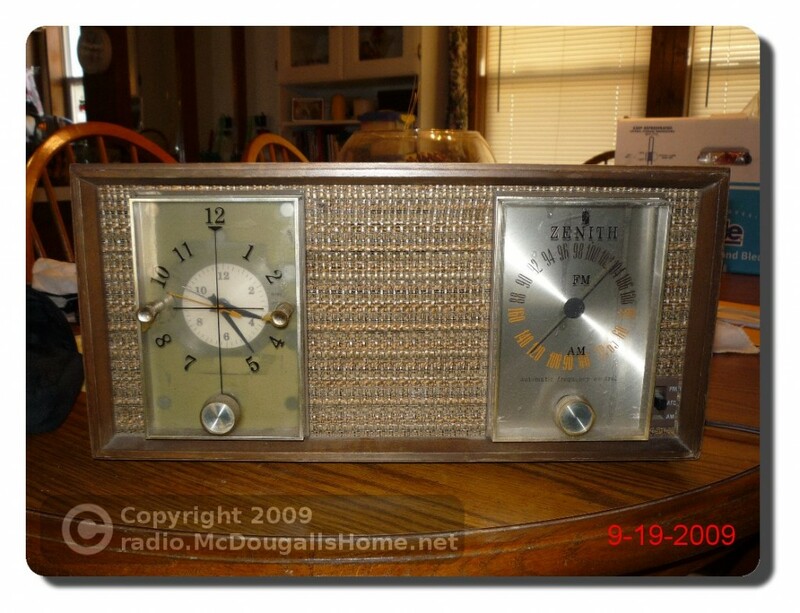 I don’t actively look to purchase old radios, but when they come along I like to pick them up to adorn my shelf. Therefore, I am not one to give much advice. Sorry, I have no idea. I am a very amateur collector; and I purchase some radios when I see them at garage sales and such. I know nothing about the value of them and have never searched it out. I’m sure if you do an Internet search, you will come up with some good information. I have that radio. Looks and works like new (almost). Mine still has the label on the bottom. Can you tell me what it might be worth to a collector? I am an amateur collector and know nothing of the re-sale value of the radios I find. I have a zenith clock radio in a wooden case. The clock does not work. The only way I can turn on radio is to plug it in and out. It would appear to me the switch is probably connected to the clock. I would buy the a complete clock to get parts from. I know the value is not a lot. I purchased it when I was a little boy by mowing yards for .25. I have owned for approximately 50 years. Can you give me infor mation as to how I can get this radio fixed. I have one it workes allthow it fades in and out. You are right the on of switch dues seem to be part of the clock. I have to set the one on the right to on and then fade with the one on the left and it came on. Mine is missing the valium knob and the cabinet is worn on one end I will sall if you are still interested. Thanks, but It is not for sale.